The ousted President of Kyrgyzstan, Kurmanbek Bakiyev, has called for UN peacemakers to enter the country and create an independent commission to investigate Wednesday's violent uprising. President Bakiyev fled the capital Bishkek after the revolt on April 7-8 that claimed lives of 81 people. 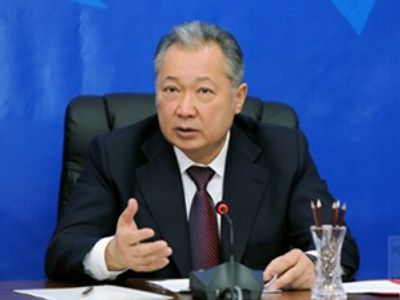 Bakiyev also mentioned that he wanted an independent international probe into the events. "If an international independent commission, which will carry out a full investigation, says in its conclusion that the president is to blame, I am prepared to bear full responsibility before my people," he said. The interim government is blaming him and his relatives for the violence and is demanding that he step down. The president’s arrest is also not out of the question. The UN has so far issued no official response. Bakiyev warned the interim government against any attempts on his life, otherwise he threatened that more blood would be spilt. The ousted president is reportedly in the South of the country recruiting supporters. 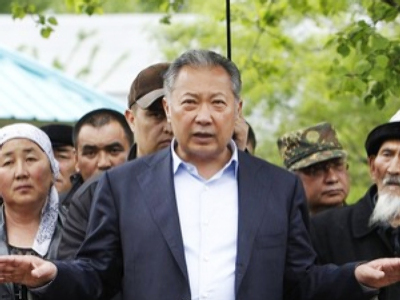 A thousand people turned up to a meeting staged by Bakiyev in his home village, reports news agency Interfax. Meanwhile, President Bakiev has said the capital of Kyrgyz Republic could be moved to the south of the country – to Jalal-Abad or Osh, as RIA Novosti news agency reports.